Alien sighting: UFO spotted near the sun is ‘100 PERCENT PROOF’ ET exists! A STRANGE object spotted travelling erratically near to the sun is “100 PERCENT” proof that aliens exist, according to UFO hunters. 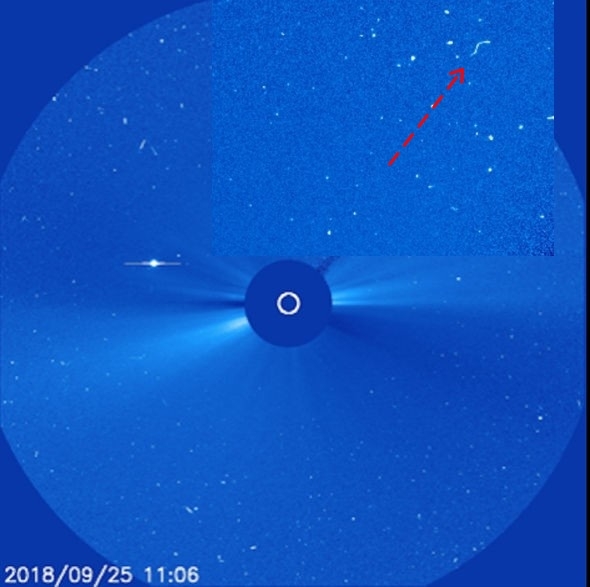 The Solar and Heliospheric Observatory (SOHO) spacecraft captured an image of what seems to be an unidentified object making sharp twists and turns in space yesterday. 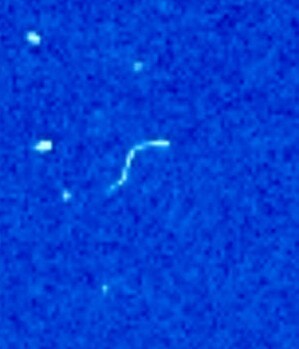 The object seems to leave behind a trail which shows that it is twisting and turning as it soars through the cosmos. Most objects such as meteorites and asteroids travel in a straight line through space, unless the gravitational pull of a planet or star for example alters its course. However, the images from SOHO show the strange object maneuvering in a way which suggests that it is being controlled as it darts around the cosmos.